What gets you out of bed in the morning? If you don’t know or are unsure, then you don’t know what your ikigai is. Ikigai is the Japanese concept of finding the secret to happiness. 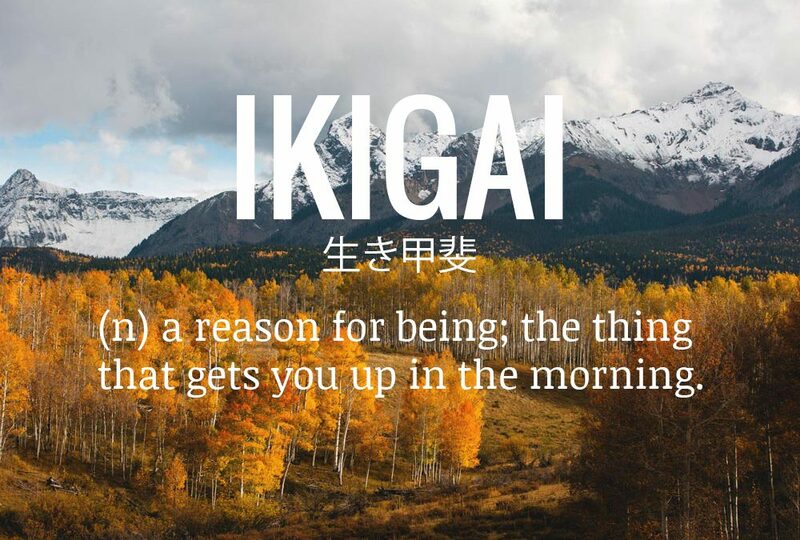 As I woke up at 5:00 a.m., for the umpteenth time, I realized that after these many years of developing myself and my shiatsu practice, I had finally realized my ikigai. For many, searching for one’s purpose in life can be frustrating—filled with many twists and turns. If you are overly focused on any one of the above 4 elements, you will not find your true purpose or reason for being. 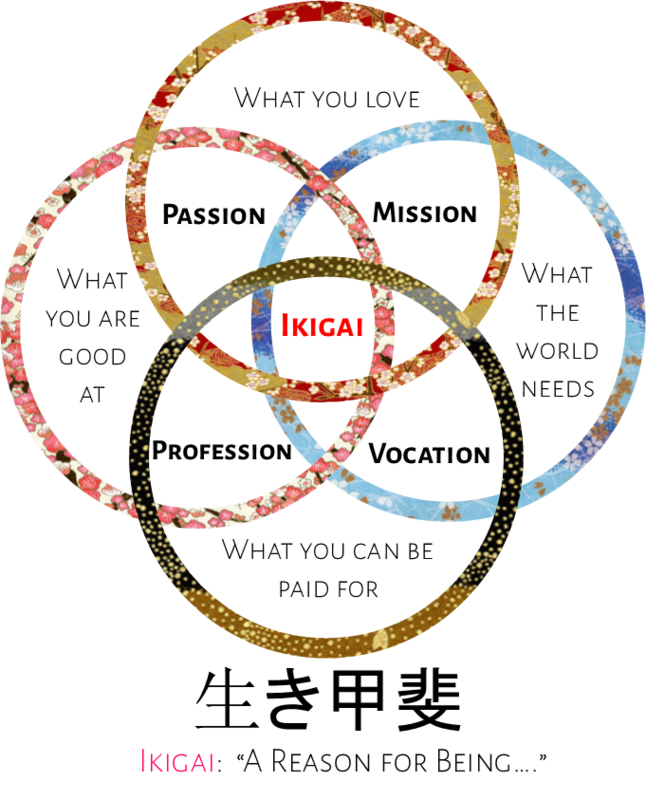 With a little honesty and great faith, diligently focusing your efforts equally on each of the 4 elements, what you will find at the intersection of these 4 elements is your ikigai—your reason for being. As 2017 comes to a close, the personal and global events of this year have reminded me of how important it is for one to know one’s self. In an ever changing world, you have to know where you stand, where you are going and when to move out of the way. As we head into 2018, I hope that you’ll awaken one morning and begin to realize your ikigai! It will be one of the greatest journeys you’ll ever embark on and it may not happen overnight. But as it has been said by the great Chinese philosopher, Lao Tzu, “A journey of a thousand miles begins with a single step.” Enjoy your journey and each and every step!